Soldier, lawyer, and politician, the mystery surrounding Albert Jennings Fountain’s disappearance in the deserts of southern New Mexico has puzzled lawmen and historians for more than a century. Born in Staten Island, New York on October 23, 1838 to Solomon Jennings, a sea captain, and Catherine de la Fontaine Jennings, Albert grew up to go to Columbia College before traveling all over the world as a tutor. He then settled in California, where he worked at a newspaper before studying law in San Francisco. Though the reasons are unknown, it was at this time, that he began to go by the name of “Albert Jennings Fountain,” an Anglicized version of his mother’s family name. 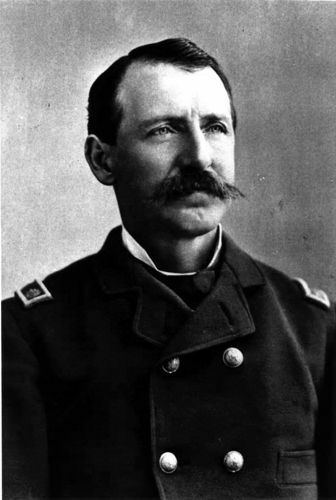 In August, 1861 he enlisted in the Union Army and was commissioned as an officer in California Column. He participated in the Union conquest of the Confederate Territory of Arizona and fought at the Battle of Apache Pass. While still serving in the army, he married Mariana Perez in October, 1862 and the two would eventually have nine children. He obtained the rank of captain by the time he was discharged at the end of the Civil War. He and his family then settled in El Paso, Texas, where he went to work for the United States Property Commission, which investigated and disposed of former Confederate property. Later he worked as a Customs Collector, was appointed an election judge, and the Assessor and Collector of Internal Revenue for the Western District of Texas. With this background, it is not surprising that he aspired to politics and in 1869, won a seat in the Texas Senate. Fountain’s radical Republican views angered many Texas Democrats. During the El Paso Salt War, he got into a shootout with a man named B. Frank Williams on December 7, 1870, was wounded three times, and killed Williams. 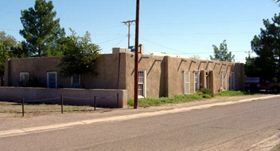 In 1875, Fountain moved his family to his wife’s home of Mesilla, New Mexico, where Fountain practiced law. Southern New Mexico, at that time, was still subject to frequent Indian raids and in 1878, he became a captain in the first company of militia in southeast New Mexico, fighting in the campaigns against Chief Victorio and Geronimo. Continuing to serve in the militia, Fountain would reach the rank of colonel, a title that he was called for the rest of his life. In 1881, he was appointed to defend Billy the Kid in his charge for murder. In 1885, Fountain moved to Las Cruces and began to prosecute Federal land frauds. In 1888, he was elected to the New Mexico legislature, eventually becoming speaker of the house. Afterwards, he became a special prosecutor for livestock associations and in 1894 convicted 20 men for cattle rustling. His roles as a politician and an attorney; however, acquired him numerous enemies. On February 1, 1896, after Fountain had attended a court term in Lincoln County, New Mexico, he and his eight-year-old son Henry disappeared near White Sands on their way home. When Mrs. Fountain reported the two missing a search party was sent for them the following day. On the Tularosa-Las Cruces road, about 45 miles from his home, the buckboard and team were found, along with Fountain’s papers, several empty cartridge casings, and two pools of blood. Missing were Fountain and his son, as well as Albert’s Winchester rifle. After an investigation, it was thought that a noted New Mexico gunman and rancher named Oliver M. Lee, along with two of his employees named Jim Gililland and William “Billy” McNew had perpetrated the crime. Eventually, all three were tried for the crime, but were acquitted and the case remained open, with the Fountain bodies having never been found. Some historians also believe that the famed Sheriff Pat Garrett was assassinated while heavily investigating the Fountain murder, and that he might have been getting close to answering “who done it”.